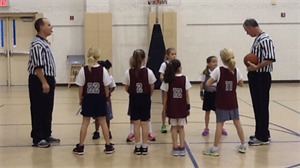 Jarvis Memorial UMC offers Upward Basketball & Cheerleading for children in Kindergarten through 6th grade. We just ended our current basketball season. We had 340 players and about 100 volunteers that took part in our league. We shared the gospel with all of the players at practices and games and with their parents during halftime devotions. We celebrated the season on Upward Awards Night with refreshments and entertainment after 8 weeks of games and practice. God has changed lives and greatly blessed our Upward league and we look forward to next year (2014) that brings another opportunity to share Christ with so many in our community. We have found a church partner in St. James UMC that has a gym and heart for the Greenville community also and will help us continue to grow.